I hope everyone had a very and blessed Happy Easter! Now, what to do with all those hard boiled eggs? Today and tomorrow Heidi and I will be sharing quick and easy recipes to use up those leftovers! 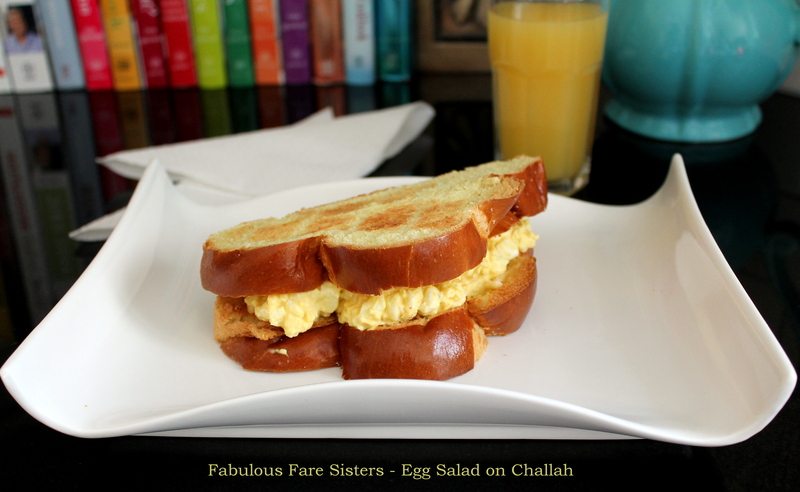 Today I’m sharing Egg Salad as an easy way to use them up. 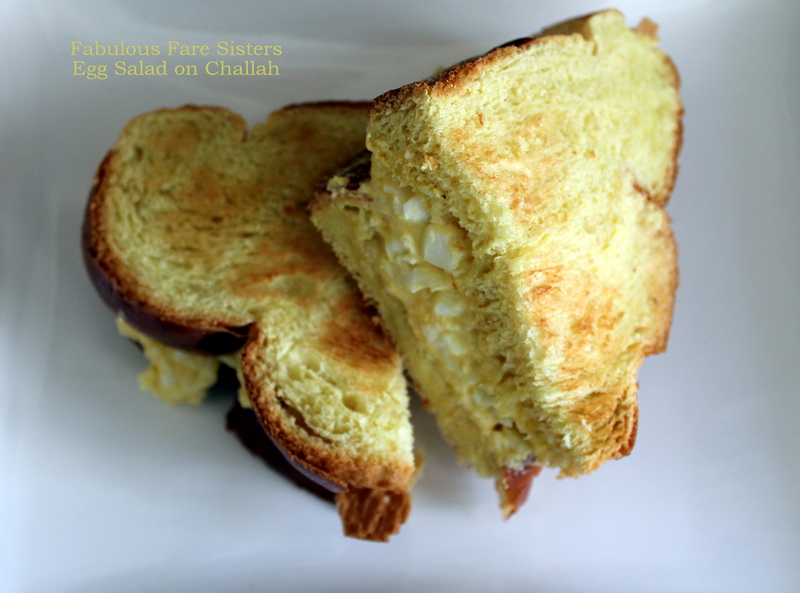 Mixed with mayonnaise and a hint of mustard; the perfect amount of creamy on a tasty toasted slice of Challah bread. Easy & Tasty! Peel and dice hard boiled eggs using a sharp knife (I actually use an old fashioned potato masher with dice holes to get the job done quickly and uniformly). Place diced egg in a mixing bowl and add the mayonnaise, mustard, salt & pepper. Toast the Challah slices. Slather a little butter on the toasted Challah bread. Fill with the egg salad and serve. This recipe has been shared on Senior Salon, The Pin Junkie, Fiesta Friday, Foodie FriDIY, and Saucy Saturday…go check it out and then go visit some other great sites! I love egg salad and this sounds delectable! Thanks for linking up to us on Throwback Thursday! I could definitely devour this sandwich! Comforting sandwich! Would love to chomp it now!! My absolute favorite! Thanks for sharing it at FF! I do love a good egg salad sammie, and this looks delicious! Challah is sooo good. This looks delicious!